Alyssabeths Vintage: My favorite time of year is just around the corner ! My favorite time of year is just around the corner ! My favorite time of year is Fall, everything about it puts me in a great mood. The cooler weather, the colors, and the smells! Baking is so much better in the Fall for some reason and I'm already starving for pumpkin bread. I know it is still August, but a girl can dream, right? 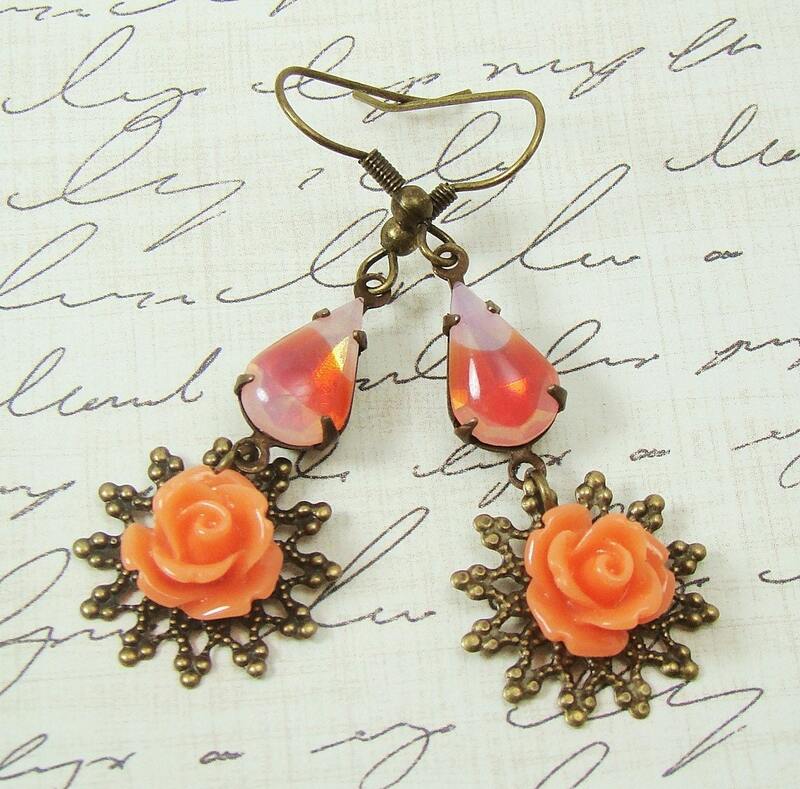 Autumn Orange Flower & Filigree Earrings Vintage style, autumn inspired rose and rhinestone earrings created with Vintage Orange Swirl Sabrina Glass Teardrop Jewels, tangerine roses set on lacey filigree settings, attached to antique brass French ear hooks. 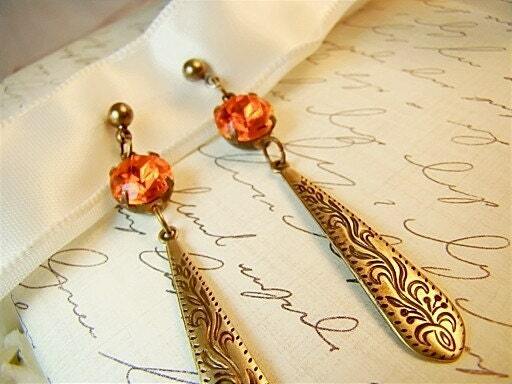 Vintage Elegance Orange Rhinestone Engraved Brass Earrings Elegant, vintage inspired earrings crafted with gorgeous vintage round faceted orange glass jewels rhinestones & vine patterned engraved antiqued brass drops. French Chic Moth & Crown Postcard Gift Tags Elegant, handcrafted French Chic Gift Tags with Vintage Moth, Crown & Filigree set on antique postcard. 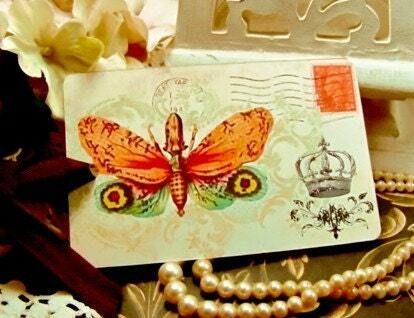 Collage was created using vintage images of a colorful moth in orange and blue, set on a sage green filigree pattern, set on an antique postcard that I have further accented with an ornate crown and filigree, both adorned with hand applied pewter glitter. And.. there is still much more to come for Fall and the Holidays at Alyssabeths, I just need to find the time to takes some photos! What beautiful pieces to represent Fall. Yes, Fall is my favorite time of year as well for the same reasons you love it. It will be here before you know it!